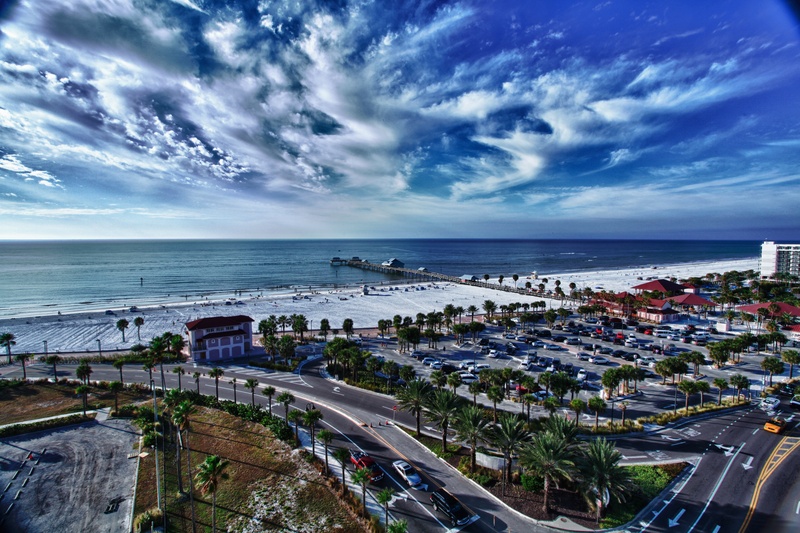 Our hotel rooms in Clearwater Beach, FL boast unparalleled beach views, and our excellent location ensures you won’t have to stray too far from the water. 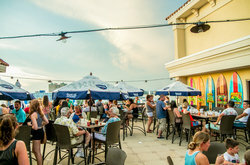 Pier House 60 is just steps away from the beach and close to all the action and fun on Pier 60. 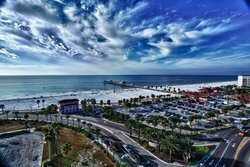 Select the Clearwater Beach hotel room that’s perfect for you. We offer a wide variety of room selections to make sure you find the accommodation that’s right for you and your group. 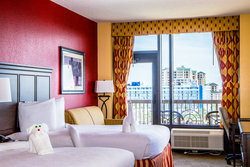 Our Waterview Rooms have enormous glass bay windows. With windows that overlook Clearwater Beach’s white sand beach or the Intracoastal Waterway, you can choose between views of the action down on the beach or the beautiful boats complemented by glittering city lights in the distance. 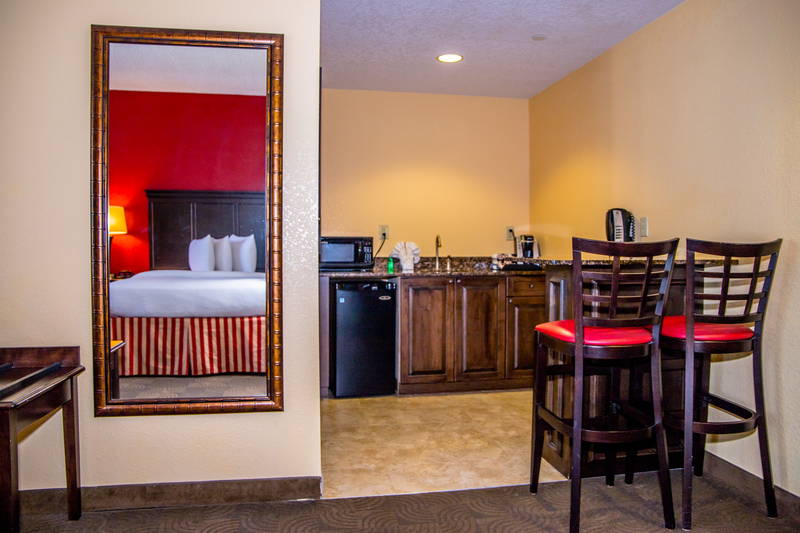 These accommodations come in either a 1 king or 2 queen bed layout option. 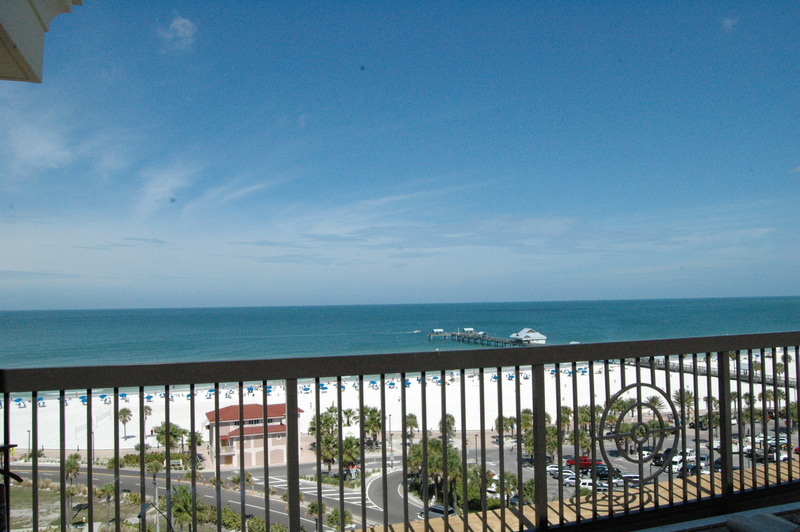 Our North Beach Rooms have a private balcony, giving you an exclusive slice of Clearwater. Wake in your plush Serta Comfort Concierge Collection mattress and step out in the morning straight to the warm sunshine and the refreshing breeze coming off the water. Our North Beach Rooms look out over a variety of stunning seascapes and marina views. Looking to visit as part of a group? 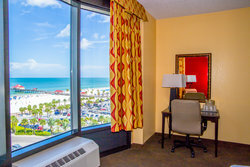 Enjoy our Clearwater Beach hotel rooms with kitchenettes, which make traveling together easier. 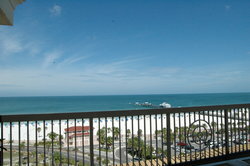 Discounted rates are also available on hotel blocks for groups and events. Get in touch with us today to learn more! 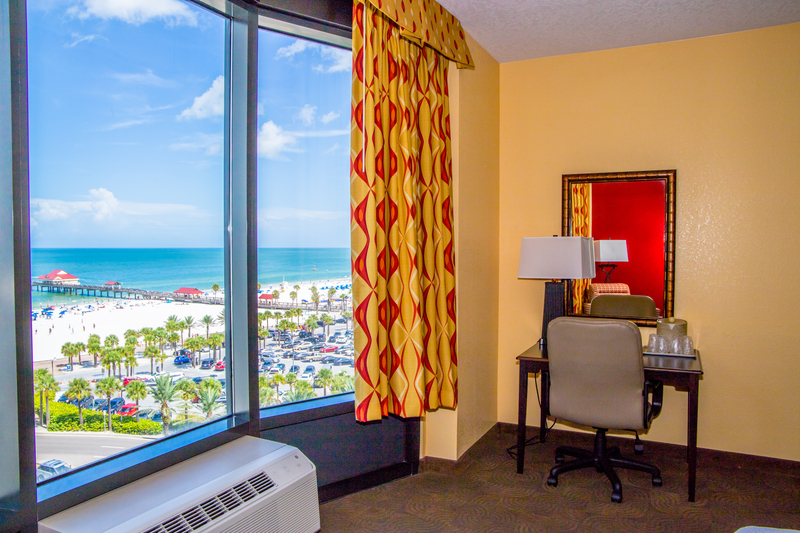 Our Water View Room features Serta Comfort Concierge Collection one king bed, and has partial views of the Gulf of Mexico, Clearwater Beach and Pier 60. 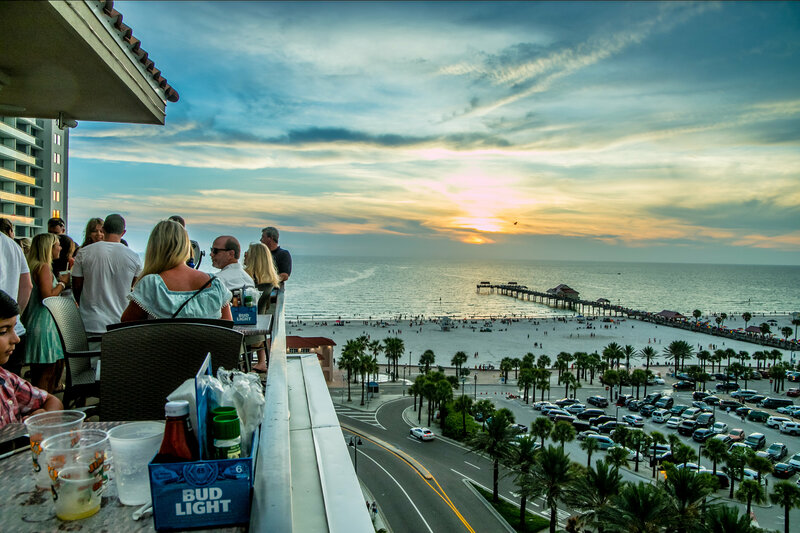 Enjoy watching all of the activity on our white sandy beaches and of course, the most spectacular views of sunsets. 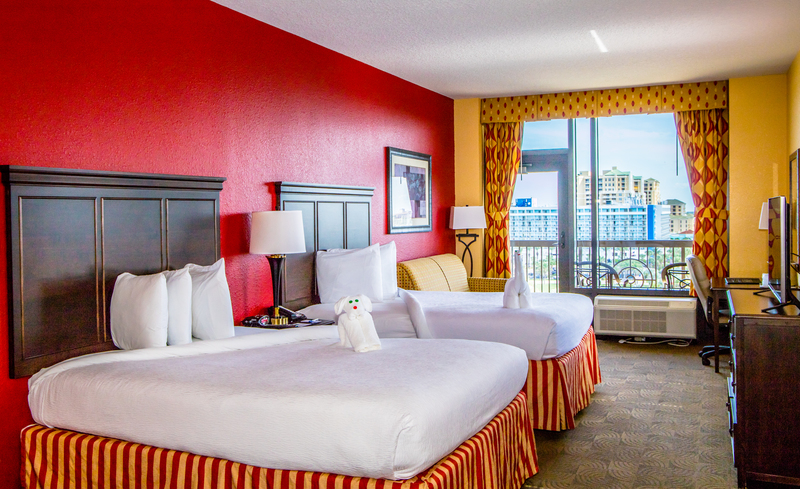 Whether you're here to chase the surf or catch up on business, our elegant rooms feature an array of conveniences to meet your needs. Tired from a full day of recreational activities? Lay your head to rest on our soft down pillows, and restore your energy for another day of sun-kissed thrills. Getting ready for an important conference call? Keep perfect pace with your co-workers through our wireless Internet access. 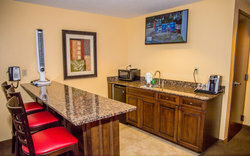 At the end of the day, feel free to sit back, relax and enjoy your favorite TV show on a 37” LCD flat screen HDTV. 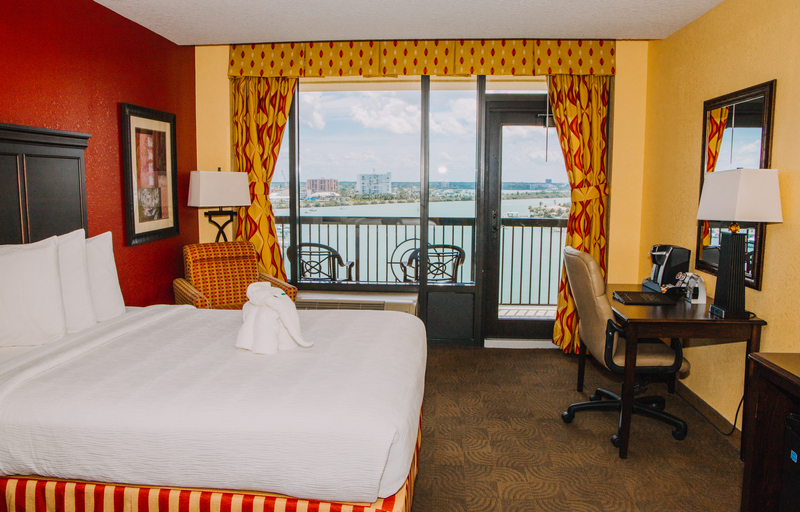 Our Water View Room features Serta Comfort Concierge Collection two queen beds, and has partial views of the Gulf of Mexico, Clearwater Beach and Pier 60. Enjoy watching all of the activity on our white sandy beaches and of course, the most spectacular views of sunsets. 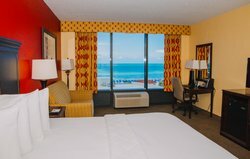 Whether you're here to chase the surf or catch up on business, our elegant rooms feature an array of conveniences to meet your needs. 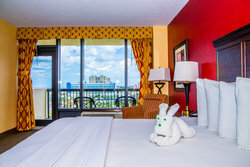 Our Intracoastal Room features one king bed, and has a view of the Intracoastal Waterway, Clearwater Marina and Harbor. 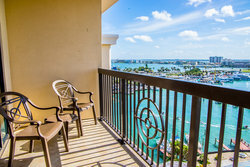 Enjoy watching boats pass in and out of the harbor as well as the glittering lights of the city, all from your private balcony. Whether you're here to chase the surf or catch up on business, our elegant rooms feature an array of conveniences to meet your needs. Tired from a full day of recreational activities? Lay your head to rest on our soft down pillows, and restore your energy for another day of sun-kissed thrills. Getting ready for an important conference call? Keep perfect pace with your co-workers through our wireless Internet access. 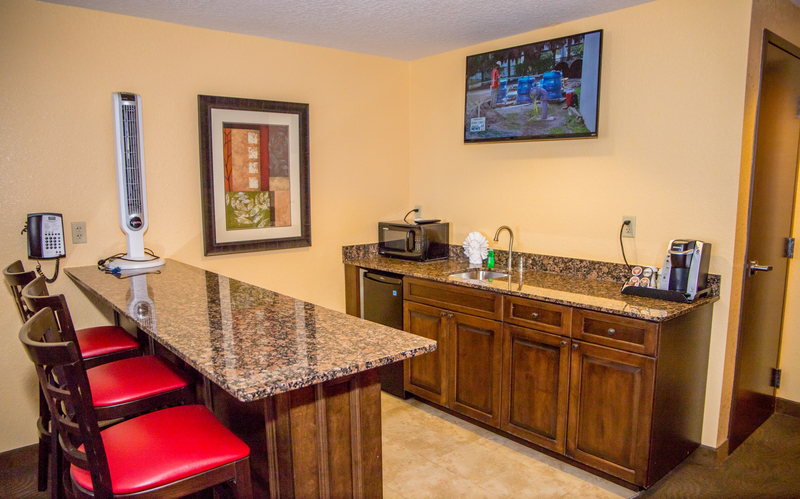 At the end of the day, feel free to sit back, relax and enjoy your favorite TV shows on a 37” LCD flat screen HDTV. 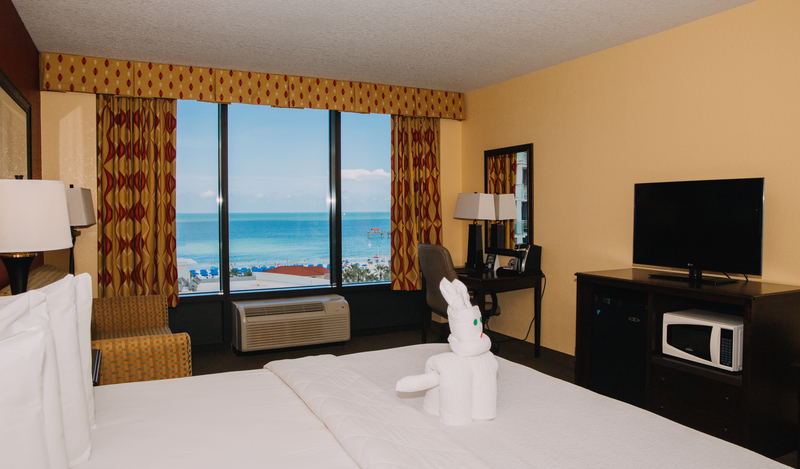 Our Water View Room features Serta Comfort Concierge Collection one king bed, and has partial views of the Gulf of Mexico, Clearwater Beach and Pier 60. Enjoy watching all of the activity on our white sandy beaches and of course, the most spectacular views of sunsets. Whether you're here to chase the surf or catch up on business, our elegant rooms feature an array of conveniences to meet your needs. Tired from a full day of recreational activities? Lay your head to rest on our soft down pillows, and restore your energy for another day of sun-kissed thrills. Getting ready for an important conference call? Keep perfect pace with your co-workers through our wireless Internet access. At the end of the day, feel free to sit back, relax and enjoy your favorite TV show on a 37” LCD flat screen HDTV. 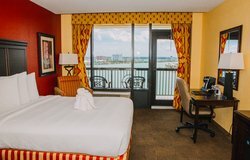 Our Feature Room offers one king bed, and has a view of the Gulf of Mexico, Intracoastal Waterway, Clearwater Marina, and Pier 60. Enjoy watching all of the activity along the harbor and pier, as well as the glittering lights of the city, all from your private balcony. Whether you're here to chase the surf or catch up on business, our elegant rooms feature an array of conveniences to meet your needs. 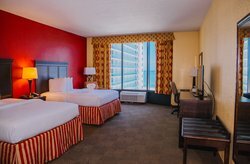 Our Feature Room offers two queen beds, and has a view of the Gulf of Mexico, Intracoastal Waterway, Clearwater Marina, and Pier 60. 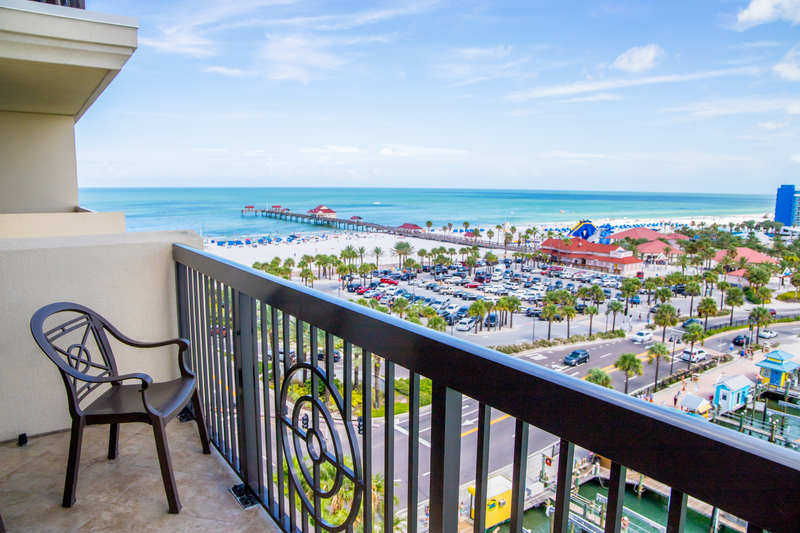 Enjoy watching all of the activity along the harbor and pier, as well as the glittering lights of the city, all from your private balcony. 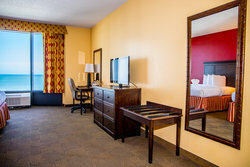 Whether you're here to chase the surf or catch up on business, our elegant rooms feature an array of conveniences to meet your needs. Our Feature Studio is an oversized room featuring two queen beds, a small kitchenette area, and a view of the Intracoastal Waterway, Clearwater Marina, North Clearwater Beach, and Pier 60. 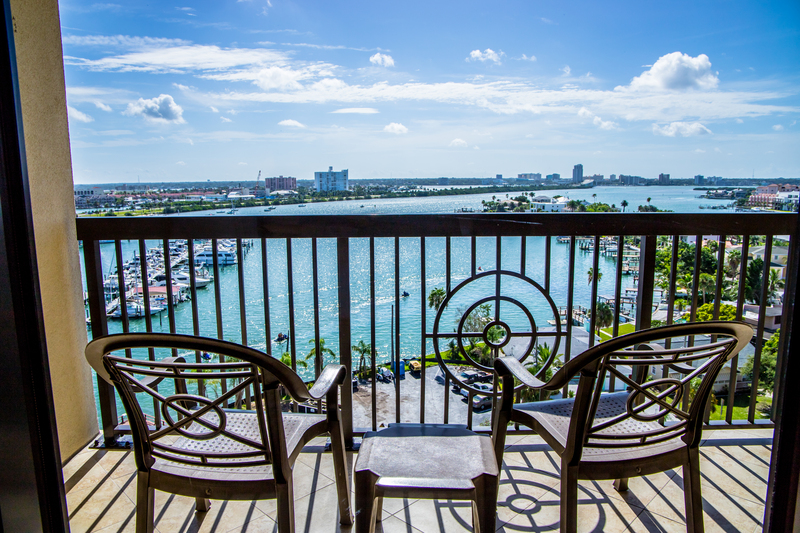 Enjoy watching all of the activity along the harbor and pier, as well as the glittering lights of the city, all from your private balcony. Whether you're here to chase the surf or catch up on business, our elegant rooms feature an array of conveniences to meet your needs. 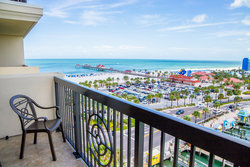 Our Water View Studio is an oversized room featuring Serta Concierge Suits Collections two queen beds, a small kitchenette area, and views of picturesque Gulf of Mexico, Clearwater Beach and Pier 60. Enjoy watching all of the activity on our white sandy beaches and of course, the most spectacular views of sunsets. 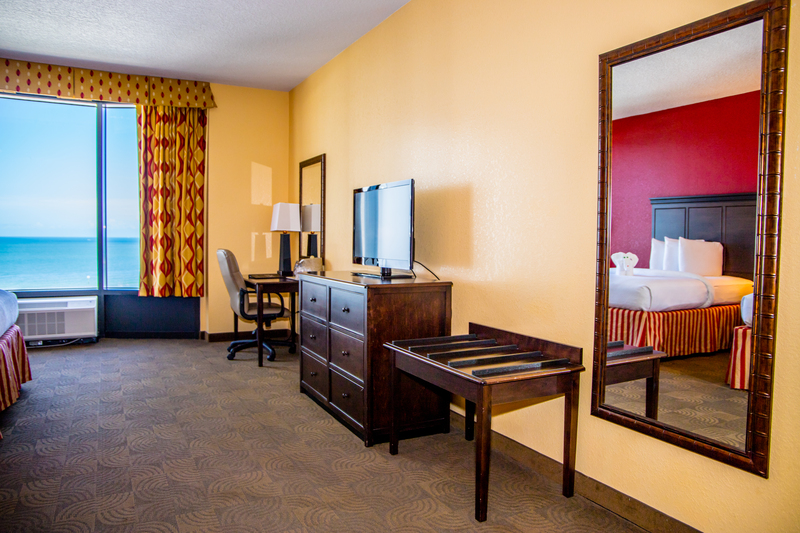 Whether you're here to chase the surf or catch up on business, our elegant rooms feature an array of conveniences to meet your needs. 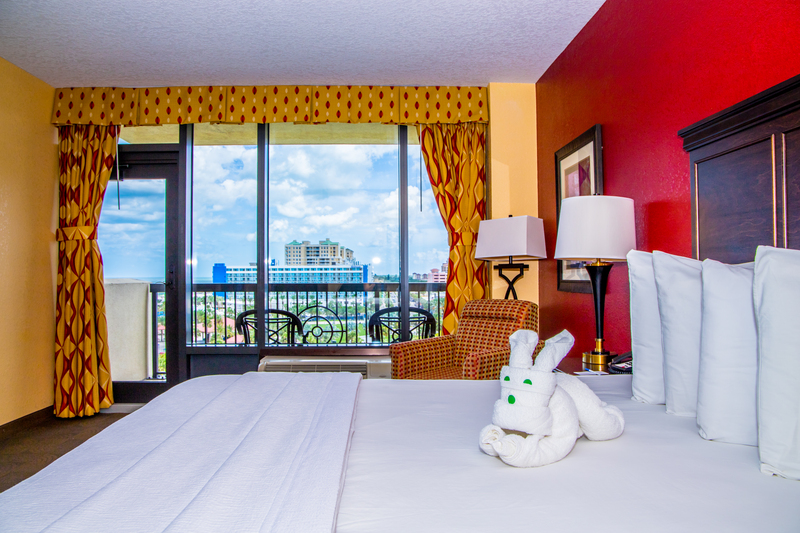 Our Intracoastal Accessible Room features two queen beds, and has a view of the Intracoastal Waterway, Clearwater Marina and Harbor. 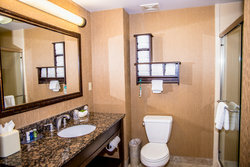 This room includes a fully equipped accessible, roll-in shower or a partially accessible shower with grab bars. Please note when selecting this room type to please be specific with accessibility. 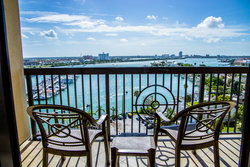 Enjoy watching boats pass in and out of the harbor as well as the glittering lights of the city, all from your private balcony. Whether you're here to lounge on the beach or catch up on business, our elegant rooms feature an array of conveniences to meet your needs. Tired from a full day of fun activities? Lay your head to rest on our soft down pillows, and restore your energy for another day of sun-kissed thrills. Getting ready for an important conference call? Keep perfect pace with your co-workers through our wireless Internet access. At the end of the day, feel free to relax and enjoy your favorite TV shows on a 37” LCD flat screen HDTV. 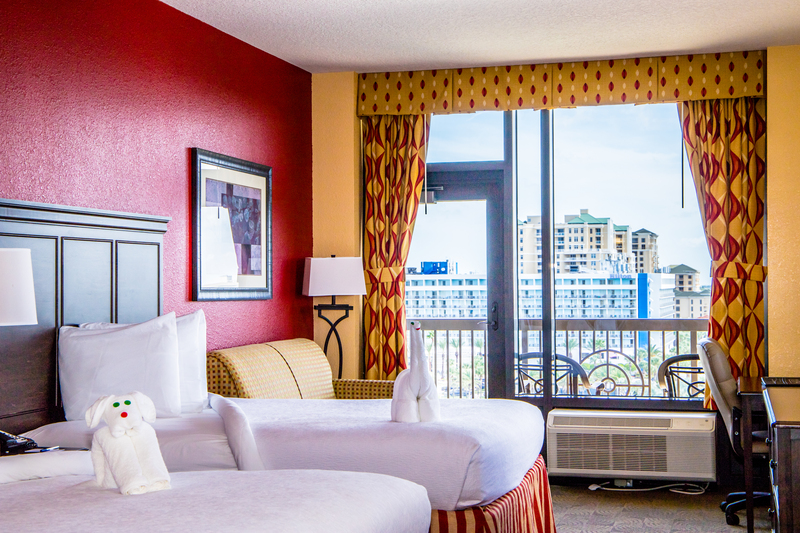 Our Intracoastal Accessible Room features two queen beds, and has a view of the Intracoastal Waterway, Clearwater Marina and Harbor. 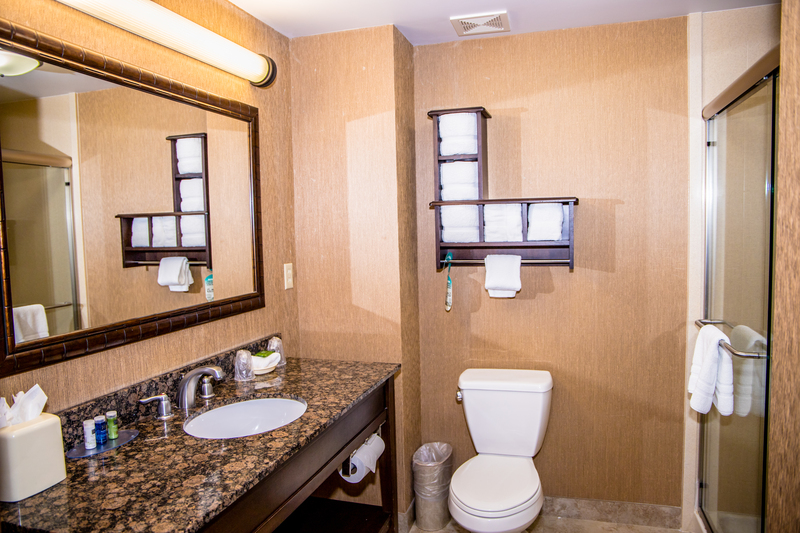 This room includes a fully equipped accessible, roll-in shower or a partially accessible shower with grab bars. Please note when selecting this room type to please be specific with accessibility. 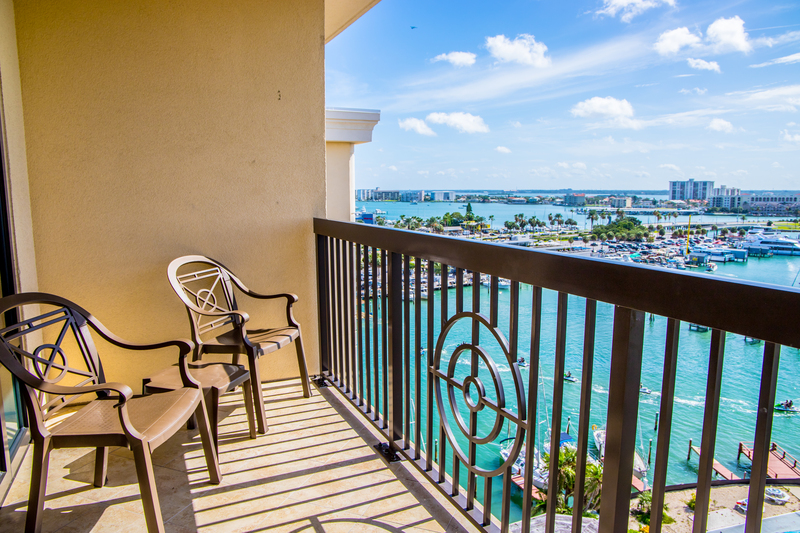 Enjoy watching boats pass in and out of the harbor as well as the glittering lights of the city, all from your private balcony. Whether you're here to lounge on the beach or catch up on business, our elegant rooms feature an array of conveniences to meet your needs. Tired from a full day of fun activities? Lay your head to rest on our soft down pillows, and restore your energy for another day of sun-kissed thrills. Getting ready for an important conference call? Keep perfect pace with your co-workers through our wireless Internet access. At the end of the day, feel free to relax and enjoy your favorite TV shows on a 37” LCD flat screen HDTV.